The zen building blocks are a set of five responsive Joomla templates that are designed to be the ideal starting points for your Joomla web projects. We call them Zen Building blocks because they are simple, minimal, cleanly coded and have the potential to be turned into just about any type of design you can put your mind to. 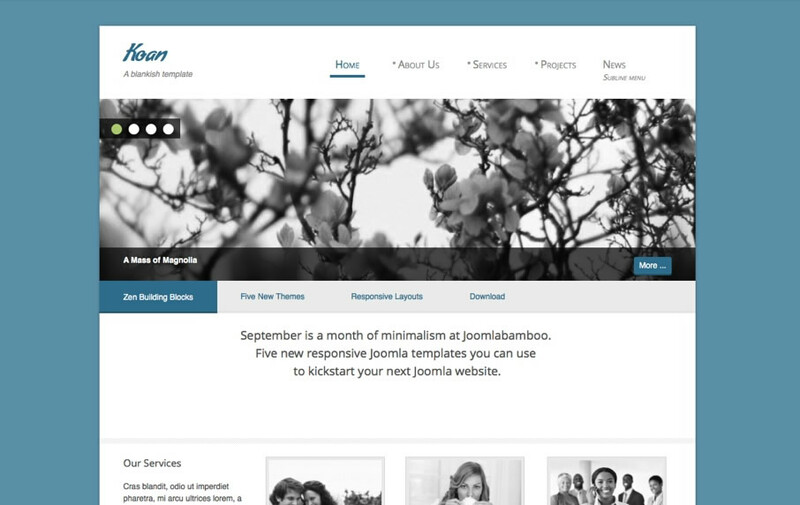 Now available as a Joomla 3 template. This type of design is popular among businesses and product type websites. A dark navigation, banner and to area offset by an off white content area, which is then supported by a dark footer or bottom area. The Koan theme is a container based design that places the main content area including the logo, navigation and some bottom modules on a white container with a subtle shadow. Top, bottom and footer module positions sit outside of the main container on the background colour. The sidetrack template is a two column fixed sidebar template with minimal styling. The sidebar works intelligently by remaining fixed on the page if the sidebar is shorter than the browser window. If it is longer than it scrolls with the rest of the content as the user scrolls down. The fullscreen theme is based on the sidetrack template but with the added bonus of a background slideshow. The background functionality is just a module position so you can add anything you like there. On the demo we used an instance of the zen tools slideshow. The full screen template side bar has the same functionality as the sidetrack template. Now available as a Joomla 3 template. The Blanko template is an almost vanilla responsive template that provides the budding designer / developer / builder with a clean slate to start building their next project. 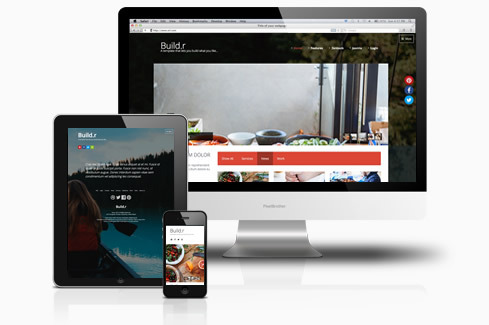 Combine any of the responsive starter templates with out other Responsive layout tools and you can create a flexible and versatile mobile friendly Joomla website. The Zentools module is a flexible / responsive image and content gallery module for Joomla. It features the ability to create responsive slideshows, carousels, accordions, grids, lists and more. Zenkit is a standalone collection of k2 templates that you can drop into any Joomla template and use with your k2 content. K2 is one of the leading content components available for Joomla.